Boeing 737 classics (-300s and -400s) will continue to dominate the narrowbody freighter conversion market until the turn of the decade, one prominent industry figure has said. Low oil prices will boost the type’s appeal and slow the expected retirement of newer 737 NGs (-700s and -800s) by passenger operators. AEI expects to receive a Supplemental Type Certificate (STC) for its -800 conversion programme at the end of this year, allowing it to deliver the first aircraft to launch customer GECAS at some point in ​2018. Despite securing orders and options for 101 of the type, Mr Convey predicted a slow transition as customers exhaust the residual supply of -400s. Classics currently trade for about $4m each, he notes, which amounts to one-third or even one-quarter of the asking price for NG feedstock. ​Some early adopters of converted NGs​ are sourcing the aircraft out of necessity rather than choice, hamstrung by legal restrictions such as Thailand’s 18-year age limit on aircraft. At least two of GECAS’s -800s will be leased to Dublin-based ASL Aviation Group, for example, which will place the aircraft with its Thai cargo subsidiary K-Mile. He said NG feedstock prices would need to fall to about $8m or $9m before the type became commercially viable in the mass market. One possible catalyst for this downward pressure might be high oil prices, which would boost availability of second-hand NGs as passenger airlines re-fleet with newer, more fuel-efficient narrowbodies. But, in lieu of a commodity rebound, buyers will likely wait until the last remaining -400s have been converted. “With a couple of hundred still out there, that’s some time [away],” Mr Convey admitted. Feedstock NG prices of $8m would allow lessors to realistically charge $170-180,000 per month for converted units, he estimated. That compares with $200-210,000 for converted NGs at today’s feedstock prices, or just $120-130,000 for converted -400s. AEI currently has 10 -400s undergoing conversion and 20 lined up in its backlog. None of its -800s can be scheduled until the type’s STC is obtained. 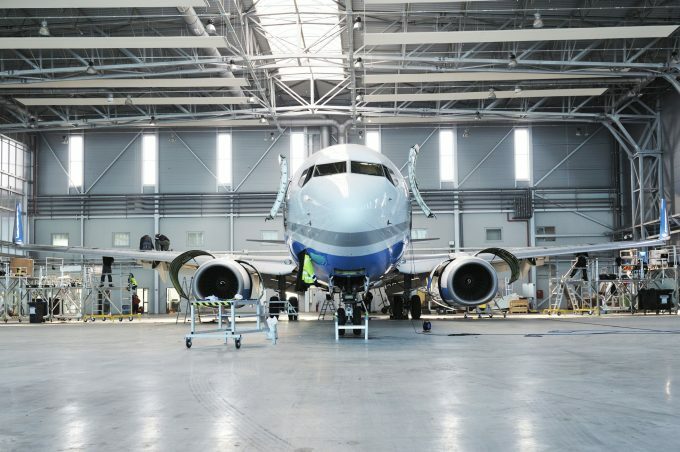 Bedek, a subsidiary of Israel Aerospace Industries (IAI), is meanwhile working on two 737 NG conversion programmes to complement its existing -300 and -400 lines, as well as its conversion work on wide-body 747s and 767s. Rafi Matalon, Bedek’s general manager of marketing and business development, says he expects to receive the -700 STC as early as this month, with certification of the larger -800 following soon afterwards. Texas-based lessor Spectre Air Capital has placed a firm order for 15 units, plus options for 15 more, spreading its commitment between the two variants. But interest has again been muted in the wider market. “We believe that the feedstock [price] should be around $7m and $6m for the -800, and then the market will ramp up,” Mr Matalon said, when asked about long-term projections for the nascent programme. He insisted that NG values would begin falling “the moment that the 737 MAX” enters passenger service – scheduled for this summer with launch operator Norwegian Air Shuttle. Mr Matalon reiterated the importance of oil prices, arguing that converted Classics would quickly become “trash” if Brent Crude returned to its triple-digit highs. Boeing has also launched its own -800 conversion programme, teaming up with STAECO in a bid to capture the fast-growing Chinese express market. ​The partners have received orders and options for 60 units, with ​deliveries expected to begin in the fourth quarter this year. Pemco, another player in the 737 NG conversion market, recently acquired by ATSG, declined to comment on its programme. Why, amid a shortage of widebody freighters, is the A330 given a wide berth?